In one week today, the Volkswagen Group Action deadline for anyone who wants to make an emissions claim will expire. That’s the 26th October 2018. After this deadline, claims will not be able to be added to the register without specialist permission of the court. Generally speaking, that’s incredibly hard to obtain without a very, very, very good reason. This is, as things stand, the deadline. If you have yet to launch your claim and have it properly lodged with the court by then, you’re simply missing out. The Dieselgate claim deadline is just two weeks away. At this late stage, anyone who has yet to claim is at risk of missing out completely. Our phonelines have been ringing off the hook today with the Dieselgate claim deadline now just two weeks away. The deadline has been set as 26 October 2018, so unless anything changes, that’s it. After that point, you will be unable to join the class action we’re engaged in. We’ve been saying for the past few weeks now that anyone who has yet to sign-up is already at risk of missing out. We’re now at a stage where anyone who isn’t signed-up and agreed to our Litigation Management Agreement could be at risk of losing thousands of pounds in unclaimed damages. There’s now only 28 days left until the Volkswagen compensation deadline. Anyone who has yet to sign-up remains at risk of missing out. Over the last few weeks, our legal team has been working hard to “dot the I’s” and “cross the T’s” for our Claimant Group. We need to make sure that all our claims are ready and prepared for joinder on to the formal Group Litigation order before the deadline. This takes time and work. Anyone who has yet to sign-up is leaving it very late to avoid either missing the Volkswagen compensation deadline, or not being ready in time. The deadline for the Volkswagen emissions class action in the UK will close next month. Anyone who wants to join must do so ASAP to avoid missing out. We’ve been reminding people who have yet to claim that we really are on the final approach. The deadline is next month, and anyone who has yet to claim now is at risk of missing out entirely. 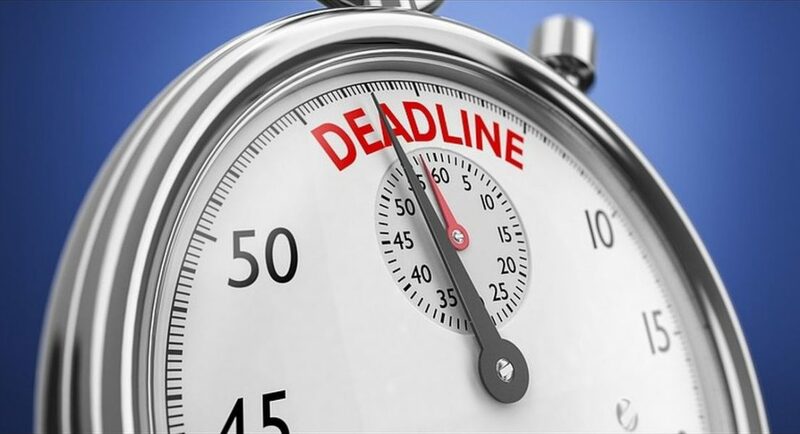 There’s work that needs to be done before the deadline comes around, so you cannot leave it until last minute without there being a risk of you missing the deadline and missing out on your chance to claim potentially thousands of pounds for Volkswagen’s emissions cheating behaviour. The Volkswagen court deadline is now just two months away, with the 26 October 2018 deadline now being two months away to the day. A lot of our recent publications on our site here and in the various news articles we’re featured in have been focused specifically on the Volkswagen court deadline and its importance. The closer we get to the deadline, the closer we are to closing our books for new claims. Our own deadline for book closure is imminent, so if you have yet to start your claim, you must act now. We are now less than 70 days until the Volkswagen compensation cut-off deadline. That’s less than 70 days to be fully signed-up and in on the action. The cut-off for people joining Claimant Groups are set to end before the official court deadline which is the one that’s now less than 70 days from expiring. The court deadline is the deadline for you to be in on the action, and there’s work to be done before you can register on the action. Although it’s less than 70 days until the Volkswagen compensation cut-off deadline, you have far less time to sign-up and get your case started. There really is now very little time to act!